These are the designs where only one team was submitted. 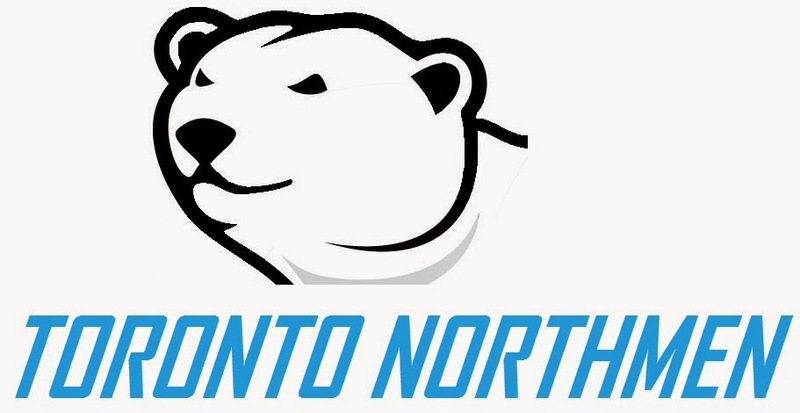 First up is the Toronto Northmen franchise. 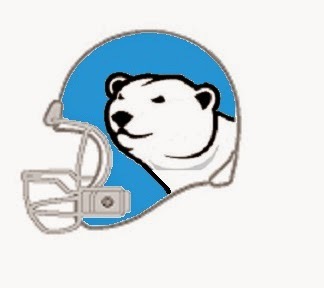 This franchise never actually played in the WFL because they were moved to Memphis and renamed the "Southmen." 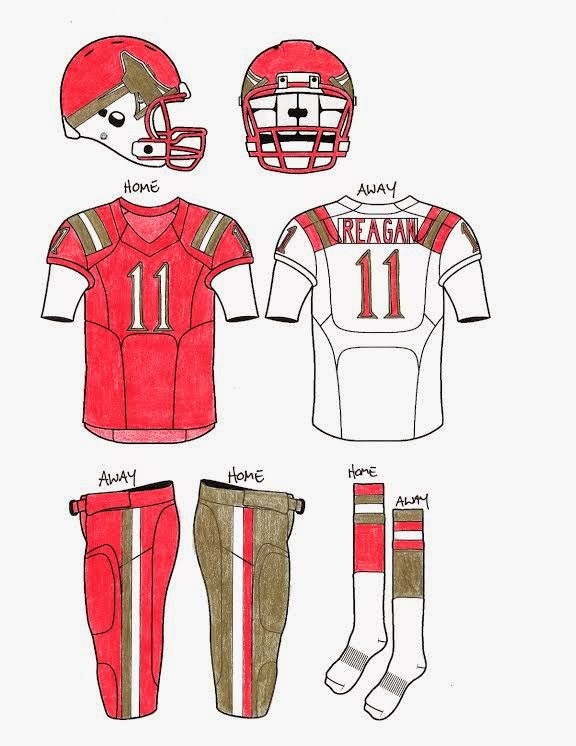 This is Andrew Seagraves' uniform concept of how the team would look in 2014. 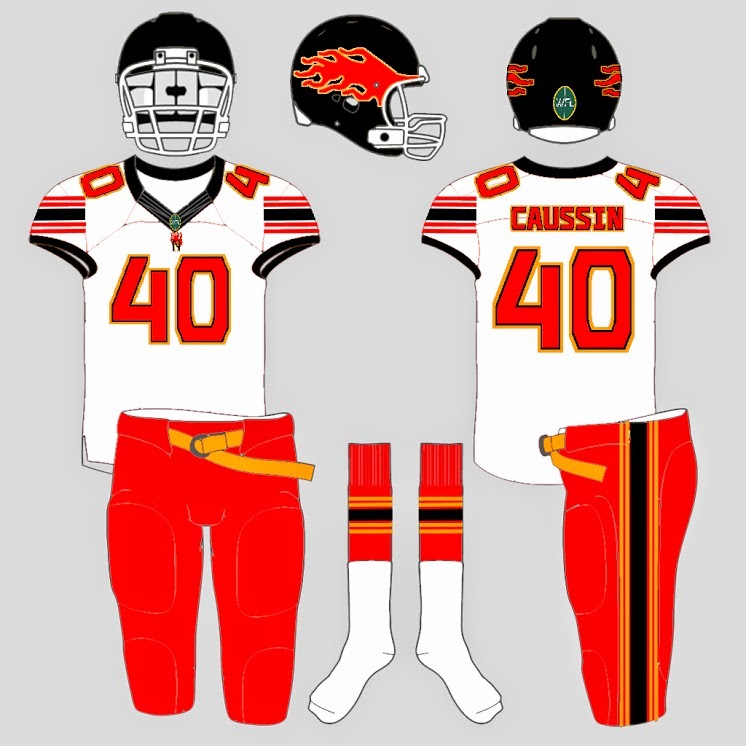 The Toronto Northmen return from the south and come back with a simple, clean and modern uniform showcasing the CN Tower side panel, a replaced polar bear and shadowed numbers. 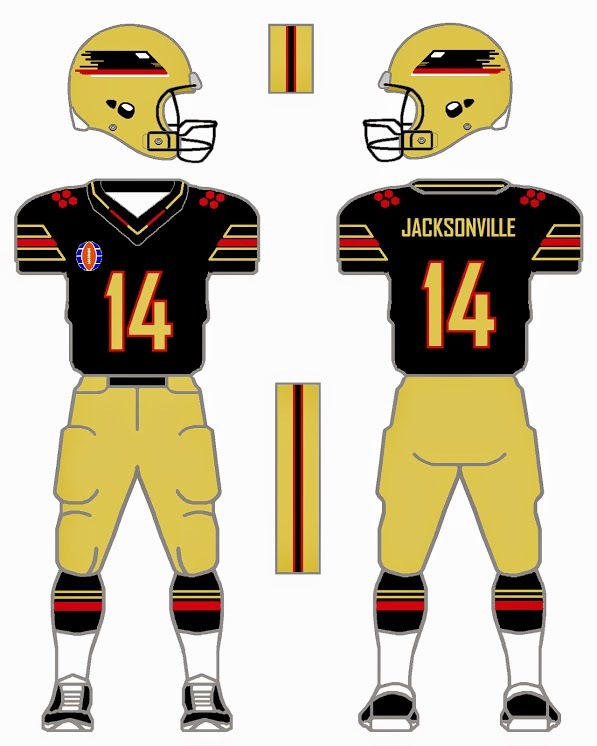 The Birmingham Vulcans: The color scheme changed to the colors of the Birmingham city flag meaning you lose blue and add gold. It's a brighter red than the 49ers and I shinier gold but when I finished I couldn't help but think "Niners". This is probably my most ambitious helmet design. The Blacksmith Hammer (a staple of the Roman Vulcan) would be in a shiny gold bisecting the matte red and white hemispheres. 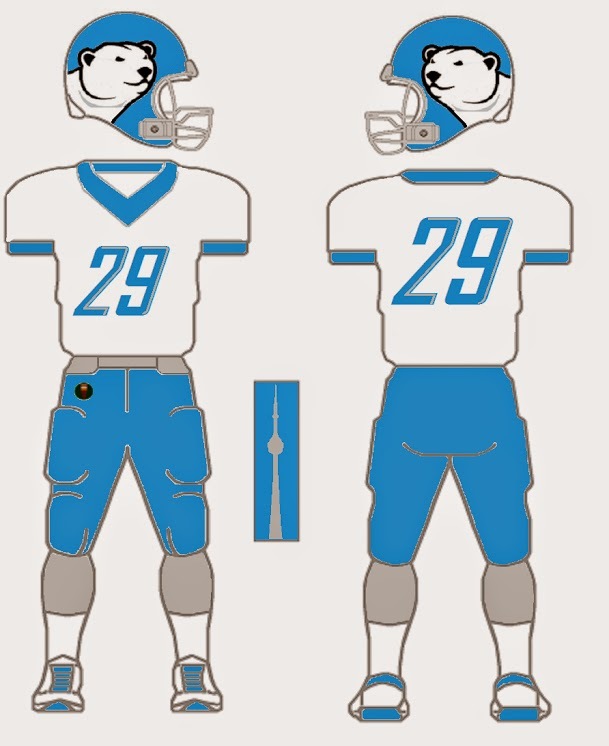 Sleeve striping moves to the shoulders. Logo- modernized speeding train logo to helmet brings the Express into 2014 ! Colors - black, light gold , red. Kept the gold pants for home and road. Double color numbers. 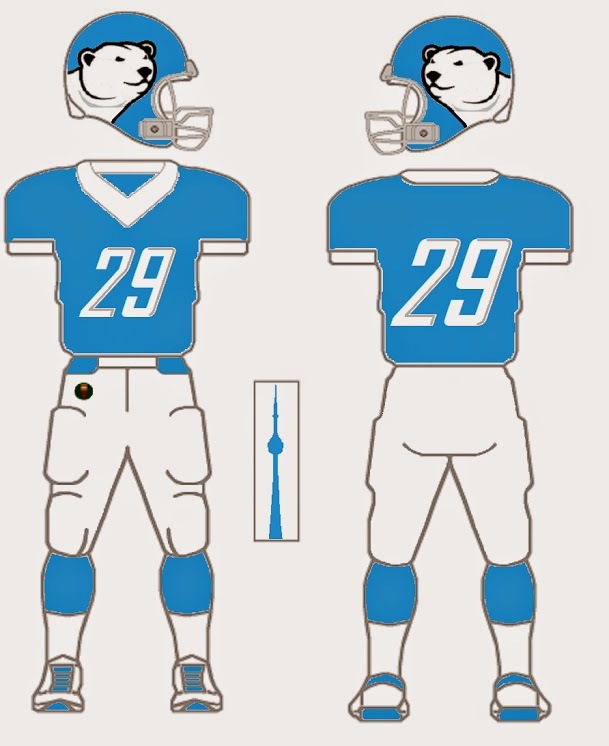 Once again added a shoulder decoration and kept the helmet striping consistent with the original. 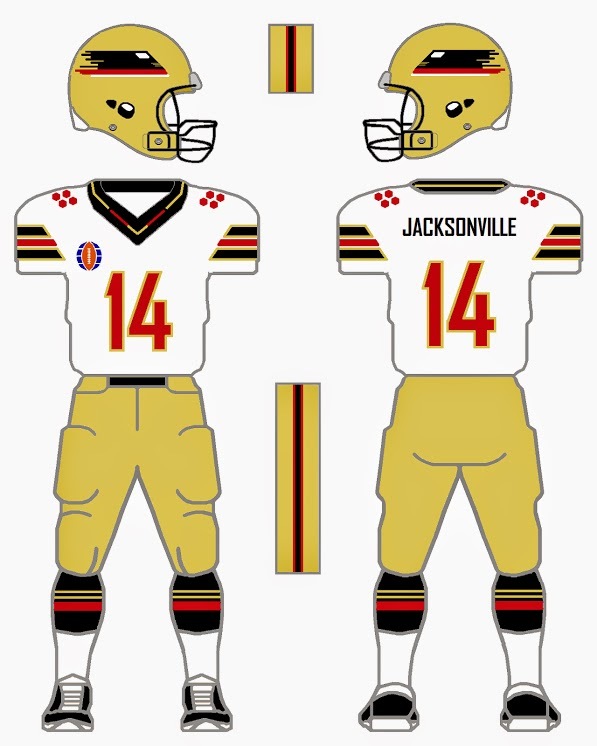 25 years after the failure of the Washington Ambassadors to get off the ground, Norfolk, VA was awarded an expansion franchise. 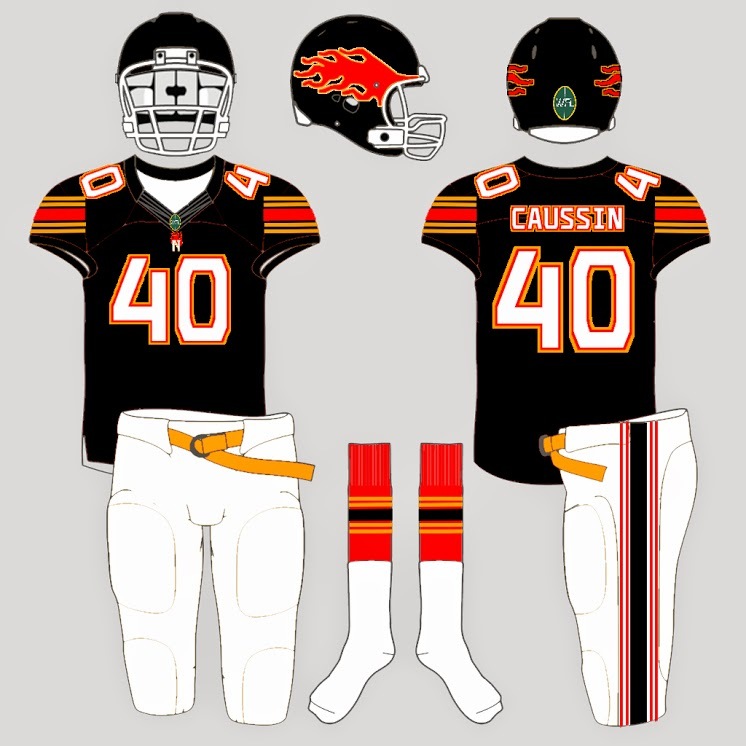 The Businessmen decided to keep with history to take on the Fire moniker which the first Chicago franchise had. 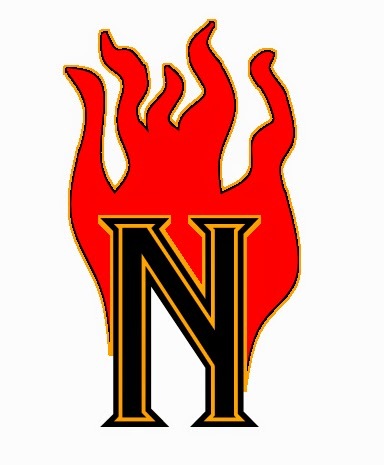 Norfolk uses a black lid with flames down the side and incorporated Chrome Yellow as a highlight color. 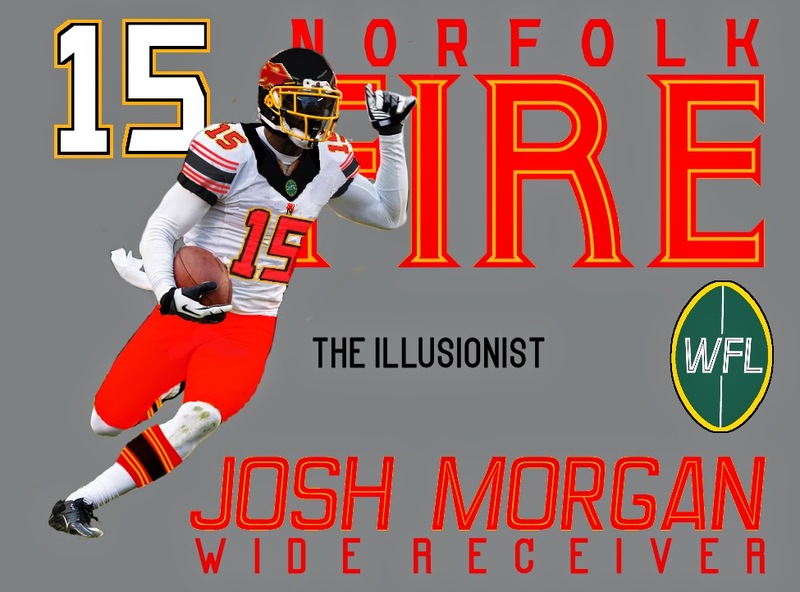 Included is the Josh Morgan player card.